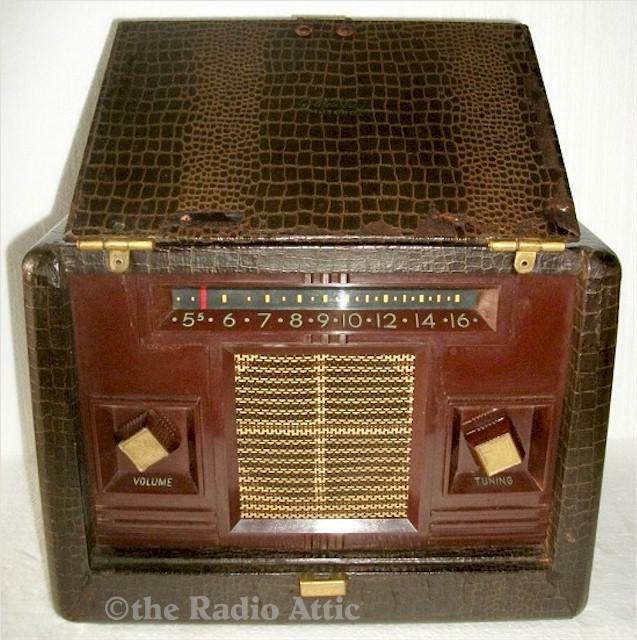 This portable radio from the late 40's is a five-tube Superheterodyne receiver that's been completely restored electronically. All of the older capacitors have been replaced now with the new long lasting types and now the set is working perfectly and receiving stations all across the dial clearly. The faux snake skin case is in very nice condition as you can see. 12-1/2"W x 10"H x 5-1/2"D.
You are visitor number 1,647 to this page.